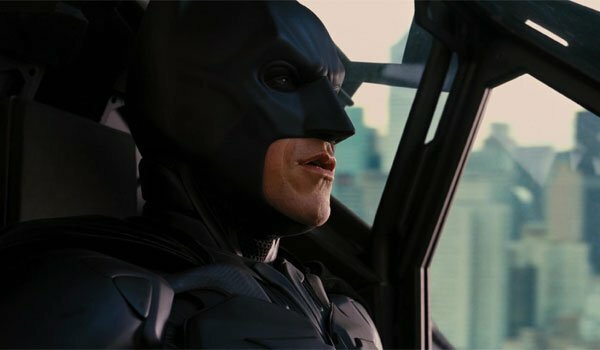 What Really Happened At The End Of The Dark Knight Rises? We know a lot of people saw The Dark Knight Rises this weekend. Nobody knows exactly how many, as Warner Bros. and their rival studios aren't announcing box office numbers until tomorrow, out of respect for the victims of Friday's shooting in Colorado. But as a lot of us still cope with the impact of that tragedy, a lot of us are still going to the movies-- and I'm betting I'm not the only one who walked out of The Dark Knight Rises with a question on my mind. Before we go any further-- and it should be obvious from the headline-- SPOILERS FOR THE DARK KNIGHT RISES FOLLOW. Get outta here if you haven't seen it!! OK, so we're all alone here? Good. 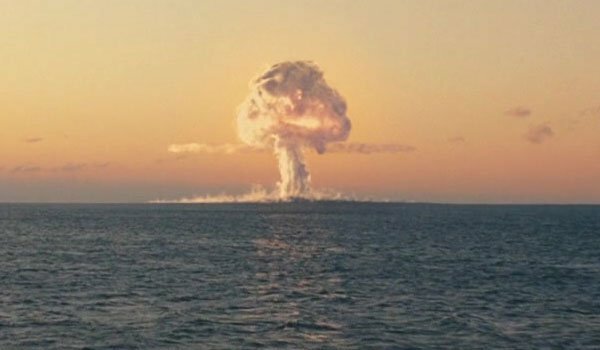 When I first saw that mushroom cloud go up over the harbor outside Gotham, I couldn't believe it. He'd done it, he'd really done it. Christopher Nolan hadn't just killed Batman, he'd nuked him, with no doubt that both Bruce Wayne and Batman were gone, leaving Alfred to grieve and Wayne Enterprises to figure out how to move forward without him. That certainty didn't last too long, of course-- Lucius talks to some Wayne Enterprises techs who admit that Bruce fixed the autopilot function before he took off with the bomb, meaning the Bat could easily have been unmanned. And then Alfred finds himself in Italy*, just as he'd dreamed, and sees Bruce having lunch happily with Selina Kyle, both of them having escaped their former identities and living freely. If he in fact managed to get out of there so fast, how did he escape the bomb radius? And how the hell could he swim back? 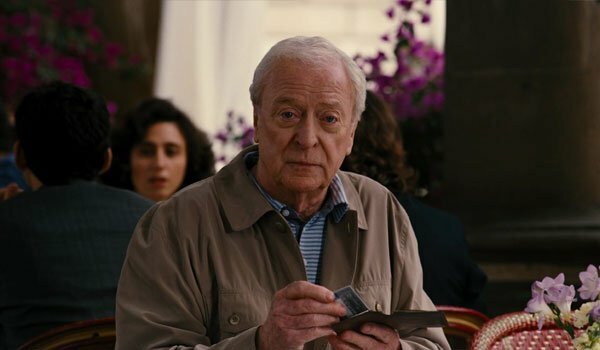 And while I know Nolan is allowed creative license and a serene spot for dear old Alfred to visit, doesn't it seem bizarrely coincidental that he'd see Bruce and Selina in the one place he'd imagined-- as the very smart Dave Lozo pointed out, is there just one cafe in Italy? I'm not saying the ending presented to us cannot be true. I'm just saying it's not as simple as it might seem, and I don't think I'm the only one who walked out of the theater saying "Wait, is Bruce Wayne actually dead?" before being mocked by friends who took what Alfred saw at face value. Remember how much the spinning top in Inception drove us crazy for months? I'm confident Nolan was at least going for some dose of that confusion-- something to keep you talking and arguing as you leave the theater. So is anyone out there with me? Do you at least think the ending is intended to be a little vague? Vote in the poll below and let me know if I have anyone in my corner. What really happened at the end of the movie?